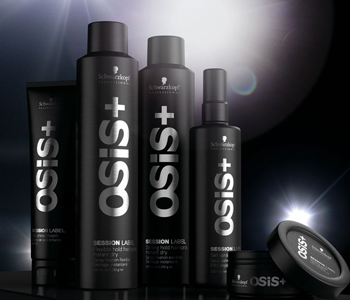 Bringing session styling performance together with premium styling precision, Osis+ Session Label offers unlimited hair reinvention. Each high performance product follows the latest backstage trends to guarantee exacting hair styling and forming, with technologically advanced formulas, pleasurable textures and on-trend finishes. With super dry hairsprays, mattifying hair shapers, flexible body-boosters and versatile hair primers comprising a veritable dream team for your hair, your imagination is the only limit.